Actor Johnny Depp, the star of the “Pirates of the Caribbean” movies, which have grossed over $4.5 billion worldwide, has sued his former attorneys for improperly generating about $30 million in contingent legal fees. Depp, who also starred in “Edward Scissorhands”, “The Lone Ranger”, and dozens of other movies, filed a lawsuit in Los Angeles County Superior Court state court on 10/17/17, against Beverly Hills, California-based Bloom Hergott Diemer Rosenthal LaViolette Feldman Schenkman & Goodman and firm lawyer Jacob Bloom, who represented him from 1999 until early this year. He alleges legal malpractice, breach of fiduciary duty, unjust enrichment, and violation of several chapters of the California Business and Professional Code. Depp is represented by a small army of lawyers in his malpractice suit, including Washington, DC-based The Endeavor Law Firm and Stein Mitchell Cipollone Beato & Missner, and local counsel from Buckley Sandler’s office in Santa Monica, California. The complaint alleges that Bloom and his firm “engaged in self-dealing and pursued and undertook transactions in the face of undisclosed conflicts of interest for their own financial benefit over that of their clients”, and collected more than $30 million in fees despite not having a written contract with Depp, as required under California law. Depp also alleges that Bloom and his law firm failed to failed to discover and disclose “years of misconduct” by Depp’s business managers (see below). Earlier in this year, Depp sued his former business managers at The Mandel Company Inc. (d/b/a/ The Management Group (TMG)). That suit accused TMG of taking more than $28 million in fees from Depp that he never agreed to pay, and allegedly failed to perform basic tasks, such as filing his taxes on time and keeping accurate records of his finances. Depp further alleged that TMG effectively “treated Mr. Depp’s income as their own,” investing the actor’s money in businesses in which TMG held an ownership stake, and loaning his money to third parties without authorization. If the Bloom Hergott firm refunds fees to Depp, i.e., to settle his allegation of unjust enrichment, or if Depp is awarded punitive damages, any such payment won’t be covered by the firm’s malpractice insurance policy. E. Damages means any compensatory sum and includes a judgment, award or settlement, provided any settlement is negotiated with the Company’s written consent. The New Jersey Law Journal reported that a Passaic County jury awarded $850,000 to the plaintiff in a legal malpractice case whose attorney failed to obtain an expert report. Plaintiff Aref Abuhadba hired Thomas Doerr of Berman Sauter Record & Jardim in December, 2010, to sue various contractors who allegedly designed and built a retaining wall on his property that cracked and bulged right after it was completed, and had to be shored up. The wall was intended to facilitate construction of a residence on a mountaintop lot in Totowa, NJ. Doerr filed suit on Abuhadba’s behalf in March 2011, but allegedly failed to take any steps to secure expert reports by the agreed-on deadline, or for months afterward. That led to the court granting defendants’ motion for summary judgment. Abuhadba’s effort to vacate the summary judgment failed. Berman Sauter shut down after Abuhadba lost his case, but before he sued it. The firm is also a party to another malpractice suit—Berman, Sauter, Record & Jardim v. Robinson. That suit began as a fee dispute, but one of the defendants filed a counterclaim alleging that Sauter negligently handled a real estate matter. The case achieved notoriety in legal circles, due to a dispute over whether the same judge could preside over it at both the trial court and appellate levels. The NJ Supreme Court ruled that he wasn’t precluded from doing so. The case is scheduled for a retrial on May 1. Abuhadba filed a malpractice suit against Attorney Doerr and the Berman Sauter firm, after it had disbanded. Their defense was that an expert repeatedly promised to produce his report, but failed to do so. However, Doerr claimed all his interactions with the expert were by phone, so there was no correspondence to support that claim. The jury obviously didn’t believe the firm’s defense. The $850,000 it awarded Abuhadba is the amount that he stood to recover in the legal malpractice case, according to his attorney, and he’ll seek interest and a fee award, pursuant to Saffer v. Willoughby, which permits fee shifting in legal malpractice cases. The verdict was covered by Berman Sauter’s malpractice insurance policy. This appears to be an open-and-shut case of legal malpractice, so why was it tried, i.e., why was ‘good money thrown after bad’ defending an apparently unwinnable case? Since the firm’s malpractice insurer paid the verdict, it also provided a defense. So why didn’t the defense counsel it retained evaluate the case early on as unwinnable, and recommend that it be settled? Alternatively, if that did happen, and the insurer agreed, but the firm refused to consent a settlement, which is required by all legal malpractice policies, then why didn’t the insurer cite the “hammer clause”, whereby if a firm refuses to agree to a settlement recommended by the insurer, it must pay out-of-pocket any indemnity + defense costs over that amount that the insurer incurs. It’s unlikely that if Berman Sauter’s insurer did send it a “hammer clause” letter, that the firm, which as noted, had already disbanded, would’ve withheld its consent to a settlement. By allowing the case to be tried, the insurer and the firm may both be exposed to a fee shifting award (the insurer’s exposure depends on how much, if anything, is left on the per claim limit of the firm’s malpractice policy, after payment of the verdict and defense counsel’s fees). Most importantly, why didn’t the attorney either retain an expert or tell the plaintiff that he couldn’t find one, and then withdraw from the case? A small technology company, fearful that it may be unable to collect a $9M malpractice judgment that it won from an IP law firm, urged an appeals court to rule that the firm has a $10 million malpractice policy to cover the award. We previously wrote about Protostorm, LLC, which in 2000 invented an online game that enabled real-time delivery of targeted ads to players, and tracking and reporting of those ads’ effectiveness. The company hired the now-defunct Arlington, VA law firm of Antonelli Terry Stout & Kraus (ATS&K) in 2000 to obtain a patent on its invention, only to discover in 2007 that the USPTO had deemed its patent application “withdrawn”, and no patent had been awarded. Protostorm sued ATS&K and several of its attorneys in 2008, and was awarded $6.975M in compensatory damages and $1M in punitive damages by a jury in 2014. District Court Judge Chen later added over $1M in pre and post-judgment interest to the award, and denied defendants’ post-trial motion to set aside the verdict. Defendants appealed to the Second Circuit, which denied the appeal, and upheld the District Court’s award to Protostorm. During litigation of the underlying case, it was revealed that ATS&K had a legal malpractice insurance policy with Minnesota Lawyers Mutual (MLM), which would cover the matter. That policy incepted in October 25, 2006, and had “prior acts coverage” retroactive to before ATS&K was retained by Protostorm. However, while it provided a limit of $10 million for acts occurring during that or future policy periods, i.e., on or after October 25, 2006, the limit for acts occurring before then was $5M. In October, 2015, Protostorm, concerned about being able to collect its award, filed a motion – which the District Court approved – to register the judgment in federal district courts, state courts in California, Florida, Texas, etc., “and in such other jurisdictions as Protostorm may determine…that the judgment debtors’ assets have been or may be found”. It subsequently registered the judgment in Minnesota. That prompted MLM to file a declaratory judgment action in Virginia federal court, seeking a ruling that its coverage was limited to $5M. In other words, MLM’s position from the time it was notified of the claim had been that its coverage obligation was limited to $5M, because ATS&K’s failure to apply for the patent occurred in 2001 – 2003, i.e., before October, 2006, and it wasn’t aware of any opposition to that position, until Protostorm filed its motion to register the judgment in other jurisdictions. Faced with the possibility of litigation over its policy limits, MLM filed a pre-emptive lawsuit, asking the court to intervene by granting its motion for summary judgment that its coverage obligation was limited to $5M. It was undisputed that the absolute due date for ATS&K to file a patent application before Protostorm lost its patent rights was Sept. 27, 2001. The firm could have filed a new patent application at the very latest by 2003, but didn’t. Throughout its litigation with ATS&K, Protostorm never asserted that any of its damages came from anything other than the loss of its right to patent its invention, which occurred between 2001 and 2003. Since MLM’s policy clearly stated that the limit for any claim arising out of action before October, 2006, was $5M, that limit must apply to Protostorm’s claim. Protostorm had argued during the trial that ATS&K’s concealment of its malpractice began in 2001 and continued through 2008, and the jury did find that the firm had concealed its mistakes, and thus awarded Protostorm punitive damages. However, this concealment rose directly from ATS&K’s failure to file the correct patent application, which indisputably occurred before October, 2006. Even if concealment of malpractice could constitute a claim that arose during the coverage period, it’s considered to be a dishonest act, which is excluded from coverage. Protostorm, presumably having been assigned ATS&K’s rights under the policy, filed its own motion for summary judgment, which claimed that ATS&K’s policy provides up to $10 million in coverage. Protostorm disputed MLM’s position that ATS&K’s wrongful acts occurred between 2001 – 2003, arguing that the jury in the underlying case determined that ATS&K had continued to represent Protostorm until 2007, and its claim was based in large part on ATS&Ks conduct during those years, i.e., it’s failure to communicate with Protostorm, and its failure to disclose that the application did not protect Protostorm’s patent in the U.S. As a result, $10M in coverage should be available under MLM’s policy. U.S. District Judge Cacheris ruled in MLM’s favor, granting its motion for summary judgment that the policy it underwrote for ATS&K had a limit of $5M, not $10M. Further, the judge stated that a recent Virginia Supreme Court decision clarified that the phrase “arising out of” an act, error or omission in an insurance policy was to be broadly construed, i.e., there needed to be a particular fact that had a causal relationship with a cause of action. In this case, there was: the cause of action arose out of ATS&K’s failure to prosecute the patent, which occurred at the very latest in 2003. Even if the firm continued to cause harm — like concealing the status of the patent — the very first acts started while the $5 million policy applied. Judge Cacheris rejected ATS&K’s arguments that the higher limit applied, because the claims did not truly arise until after the firm’s representation of Protostorm ended after October 25, 2006. Protostorm appealed Judge Cacheris’ decision to the Fourth Circuit. In their opening brief, Protostorm and ATS&K asserted that the Judge applied an improperly narrow interpretation of the phrase “arising out of”, which flouts Virginia precedent establishing that the phrase requires only that an act have some substantial connection with a legal cause of action. They further argued that the judge ignored evidence presented in the underlying case that established that ATS&K engaged in misleading conduct after Oct. 25, 2006, when the limit of its policy with MLM increased to $10M. The appeals court will almost certainly affirm the District Court’s ruling, because the plain meaning of “arising out of” is “come into being”, and Protostorm’s claim against ATS&K “came into being” when ATS&K failed to designate the US for patent protection, when it filed the patent application. In that case, Protostorm will be faced with trying to collect a judgment of over $9M (including post-judgment interest, which is continuing to accrue), when defendants’ sole collectible asset appears to be its malpractice insurance policy, which has a $5M per claim limit. However, the news is much worse that that for Protostorm, because ATS&K’s insurance policy almost certainly has “eroding limits”, which means defense costs are subtracted from the per claim limit, which leaves that much less to pay any settlement or judgment. Since this matter spanned nearly nine years, and included a trial and appeal, total defense costs are likely between $2 million and $3 million. If we split the difference, and use $2.5 million as a benchmark, then there’ll be $2.5 million left on ATS&K’s $5 million policy to satisfy the judgment. Further, as mentioned in Part III of our coverage of the underlying case, ATS&K essentially shut down in April, 2015, so it doesn’t have ongoing cash flow. Further, its assets have likely been removed, Protostorm failed in its attempt to have ATS&K attorneys Brundidge and Bailey declared jointly and severally liable for the judgment, and Protostorm has no recourse against ATS&K’s former equity partners. Therefore, unless Protostorm is able to uncover additional collectible assets, it’ll likely have to settle for the $2.5 million left on ATS&K’s policy, which will be further reduced by its attorneys’ contingency fee, and its own fees and costs. The bottom line is that Protostorm will wind up with about $1.5 million. That’s not an inconsiderable sum, given that all of it will apparently go to Peter Faulisi, Protostorm’s co-founder, and the only individual plaintiff, but it will likely seem to be a frustratingly small payoff, given the size of the judgment, not to mention the potential royalties that might’ve been earned, if Protostorm had been awarded a patent. A legal malpractice claim filed against late attorney John Fahy and his former firm, and a lawsuit filed against them by their malpractice insurer, which sought to deny coverage for the claim, were resolved via mediation on February 26th. Vivien Thorsen was an insurance agent for Secaucus, NJ-based The MacCormack Agency from 2003 until January, 2010, when she was terminated. Her lawsuit alleged that company president Frank MacCormack, Jr., began sexually harassing her soon after her employment began. She claimed that she didn’t tell him to stop until 2006, because she feared she might lose her job, but he continued to harass her even after she told him to stop. Thorsen retained John Fahy, then senior partner of Fahy Choi, LLC, to represent her shortly after she was terminated. • In May, 2010, Fahy told her that he had filed suit on her behalf. • During the next three years, Fahy repeatedly asked her for help in drafting interrogatories, told her about pending depositions that he said were continuously postponed, and advised her of settlement conferences. • In January, 2013, he stated that the defendants had agreed to a $1.2 million settlement. • During the following months, Fahey claimed to be arranging to obtain payment, and on July 11, 2013, advised her that a check was en route to his office. •On July 12, 2013, the last time she heard from Fahy, he left her a voicemail that said he had “good news”. On July 17, 2013, Fahey was found dead under a railroad trestle in East Rutherford, NJ, with “a single gunshot wound to the head, fired with a handgun.”  It was ruled a suicide. It’s unclear why Fahey took his own life, but shortly before he died, the NJ Supreme Court ordered that he be temporarily suspended and pay a $500 sanction for failing to comply with a fee arbitration award. It vacated the order after his death. Thorsen claims that after learning of Fahey’s death, she requested her settlement check from his firm, but was told by Managing Partner Benjamin Choi that there was no check, and Fahey hadn’t filed suit on her behalf. Further, the statute of limitations on her claim had expired in January, 2012, denying her the opportunity to sue her former employer. She sued his estate, Fahy Choi, LLC, attorney Choi, and several firm employees for malpractice on November 4, 2013. He said that he filed suit only after settlement discussions held over several months proved unsuccessful. Thorsen also sued Totowa, NJ solo practitioner James Perconti, who represented The MacCormack Agency, and met with Fahy about Thorsen’s claim in May, 2010. She alleged fraudulent concealment, spoliation and civil conspiracy, because he failed to obtain her employment records, and told her new lawyer that none existed, although they had previously been promised. Thorsen claimed that experts valued her claims against her former employer at about $7 million – $10 million, including punitive damages. Darwin National Assurance Co. was Fahey Choi’s legal malpractice insurer from August 1, 2012 – August 1, 2013, and was notified by the firm of Thorsen’s claim on July 31, 2013. Darwin filed a declaratory judgment action in Newark federal court on November 27, 2013, seeking a ruling that it didn’t have to defend or indemnify Fahey Choi, et al, for Thorsen’s claim, because of its policy’s Prior Knowledge Condition. That Condition disallows coverage if any Insured knew about the wrongful act on which the claim is based, or could foresee that it might result in a claim, prior to the inception date of its first policy with Darwin. Darwin asked the court to rule only that the Condition was valid and enforceable, not on what John Fahy knew or when he knew it. Defendant Thorsen filed a counterclaim, and Darwin and all defendants filed cross-motions for summary judgment. Defendants’ contended that the court should abstain from hearing the case, because the U.S. Supreme Court ruled in Burford v. Sun Oil Co., that abstention is proper when federal court review would interfere with a state’s policy-making. She noted that no New Jersey case was directly on point, but predicted that a state court would deem the Prior Knowledge Condition in Darwin’s policy applicable to Thorsen’s claim, despite the public policy concerns raised by defendants, because “Courts in this district have enforced prior knowledge provisions that exclude coverage as to all insureds, including innocent ones”. She stated that Darwin’s policy wasn’t improperly narrow, noting that it offered coverage to “innocent” insureds. IV. Salas declined to mandate coverage based on the Appellate Division’s 2014 ruling in DeMarco v. Stoddard, which prohibited voiding coverage for an innocent party, because the state Supreme Court reversed DeMarco, and even if it hadn’t, that decision concerned policy rescission, whereas Darwin, as noted, sought only to deny coverage for Thorsen’s claim. The settlement reached at the mediation held on February 26th resolved all claims. 2. on or after the Retroactive Date and prior to the Policy Period, provided that…prior to the inception date of the first policy issued by the Insurer if continuously renewed, no Insured had any basis (1) to believe that any Insured had breached a professional duty; or (2) to foresee that any such Wrongful Act or Related Act or Omission might reasonably be expected to be the basis of a Claim against any Insured;”  (emphasis added). As noted, Darwin argued that the Prior Knowledge Condition applied to Thorsen’s claim, because John Fahy knew he had breached his professional duty to her prior to 8/1/12, the inception date of Fahy Choi’s first policy with Darwin. Defendants countered that the Condition didn’t apply, because Fahy Choi’s policy wasn’t “continuously renewed”. The judge ruled that Darwin’s was the only “reasonable interpretation”, and the Condition thus applied. The larger point is that every claims-made policy has a Prior Knowledge Condition, because no insurer intends to cover a claim arising out of a known prior wrongful act, i.e., one that a firm was aware of prior to the inception date of the first policy the insurer issued to it. Otherwise, attorneys could remain uninsured until they committed a wrongful act, and then rush to buy a policy before their client filed a claim. To prevent that, every malpractice insurer’s application requires a firm to disclose any known claim, or any known wrongful act that could lead to a claim. If the firm discloses a known claim or wrongful act, and later seeks coverage for it, the insurer can deny cover-age under its policy’s Prior Knowledge Condition. If the firm doesn’t disclose it – as Fahy Choi failed to do with Thorsen – and later seeks coverage for it, as Fahy Choi did, then the insurer can either deny coverage under the Prior Knowledge Condition, as Darwin did, or seek to rescind the policy, due to material misrepresentation. If Darwin had sought rescission, it would’ve had to show that Fahy Choi’s failure to disclose Thorsen’s potential claim on its application was material to Darwin’s offer of coverage, i.e., if it had been disclosed, Darwin would’ve declined to offer coverage, or offered different terms, such as a policy endorsement that excluded coverage for any claim made by Thorsen. If Darwin had sought rescission and succeeded, then it wouldn’t have had to cover John Fahy’s estate for Thorsen’s claim, but it would’ve had to cover any other Fahy Choi defendant that the court deemed an “innocent insured”, i.e., one who didn’t and shouldn’t have known about John Fahy’s representation of Thorsen. Darwin avoided that outcome by seeking only to deny coverage for Thorsen’s claim, a strategy that succeeded because of its policy’s Prior Knowledge Condition. That gave Darwin leverage in negotiating a settlement with Thorsen and the Fahy Choi defendants, which it apparently decided was more cost-effective than continued litigation. 3 See note 1 above. 5 See note 1 above. 6 See note 2 above. 9 See note 1 above. 10 See “DARWIN NATIONAL ASSURANCE COMPANY, Plaintiff, v FAHY CHOI, LLC, et al., Defendants. United States District Court District of New Jersey. Civil Action No. 13-7197 (ES) (JAD) OPINION”, https://ecf.njd.uscourts.gov/doc1/119110490994 (subscription required). 16 See note 1 above. 19 See note 10 above. We previously explained how a claims-made coverage gap can occur when a law firm switches insurers. 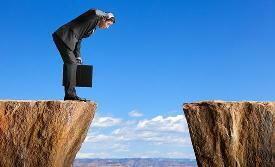 Another type of claims-made coverage gap can occur if attorneys are lax in re-porting a claim to their insurer. This is due to the fact that the term “claims-made” is a misnomer, because most such policies are actually “claims-made and reported”, which means that the claim must be made against you during the current policy period, i.e., while you have a policy in effect with that insurer, and you must re-port the claim to your insurer during same policy period in which it was made, i.e., your current policy period. This means that if you had a policy in effect from, i.e., January 1, 2015 – January 1, 2016, received a claim on the December 31, 2015, and reported it to your insurer on January 2, 2016, the insurer could deny coverage, since you didn’t report the claim during the policy period in which you received it. That’s true even if you renewed your policy with that insurer. The grace period applies whether or not you renew your policy. In other words, if you received a claim during your current policy period, you can report it without penalty during the next policy period, if you renewed your policy. However, these “continuous coverage” policies are often only issued to large law firms, which usually have a large deductible or self-insured retention. So, if your policy is claims-made and reported, and has neither a grace period nor a con-tinuous coverage clause, your insurer could deny coverage if you report a claim even one day after the end of your policy period. Further, the courts (properly) treat each policy like a self-contained unit, even if it’s been renewed for many years, and would likely affirm any denial of coverage based on a claim being reported after the policy in which it was received, even if it was just one day late. For example, in A.B.S. Clothing Collection, Inc. v. Home Ins. Co. (1995) 34 Cal.App.4th 1470, 1476-78 [41 Cal.Rptr.2d 1667], the court ruled that the renewal of an insurance policy is a separate and distinct contract from the prior policy, not a continuous contract, “unless there is clear and unambiguous language showing the parties intended to enter into one continuous contract.” In other words, the courts won’t find that a continuously renewed policy is a ‘de facto’ continuous contract. This clearly creates a potential gap in coverage for attorneys whose policy doesn’t have either a grace period or continuous coverage clause. However, insurers rarely, if rarely, exploit it, because denying coverage to a firm merely because it reported claim a day or two after the policy period ended, would make for terrible customer relations, and would generate “pushback” from brokers, because it exposes them to an E&O claim from their client. That notwithstanding, the solution to avoiding a claims-reporting gap is to promptly re-port all claims or potential claims to your insurer,. However, sometimes a lawyer com-mits an error but believes that it can be fixed, or that the client won’t actually file a claim, and doesn’t report it to the insurer, because s/he’s afraid that doing so will increase their premium. Further, many lawyers believe that if they maintain continuous coverage with the same insurer, they can report a claim in the policy period after they received it (within reason, i.e., a couple of days into the new period, if they received it in the last few days of the prior period). However, as shown above, this isn’t true. The safest action is to report all potential claims to your insurer right away. However, if you think you can resolve a potential claim without involving your insurer, then at least check your policy’s claim reporting requirements before you do so, i.e., determine if your insurer allows a grace period to report claims after the policy period ends. If so, then you can try to resolve the matter yourself, but make sure that if you can’t, you report it to your insurer before the grace period expires. If your policy lacks a grace period, and you receive a potential claim near the end of your policy period, the prudent thing to do is to report it to your insurer before the end of your policy period. You can still try to resolve it with the client on your own, or even hope it just “goes away”, but be sure to protect yourself by reporting it before your policy expires. Law360 reported that Westport In-surance Corp. filed a lawsuit in Penn-sylvania federal court on 2/29/16, seeking to rescind a legal malpractice policy it issued to 150-lawyer firm Stevens & Lee PC, because the firm withheld material information from its malpractice insurance application. However, Westport claims that the firm failed to disclose an October 2011 class action suit accusing its now-bankrupt client AgFeed of making materially false and misleading statements to investors about its financial condition. Westport issued a policy to Stevens & Lee in December, 2012, which had a $10M limit and an endorsement providing $5M coverage for punitive damages. However, if it had “been made aware of the class action securities lawsuit filed against AgFeed, it would have issued the policy under different terms and conditions”, i.e., a 29% higher premium, and no endorsement providing coverage for punitive damages. Westport learned of the securities lawsuit when Stevens & Lee sought coverage for an adversary proceeding filed against it last July in Delaware bankruptcy court, by the Trustee that represents the AgFeed Liquidating Trust, which was established by AgFeed’s Chapter 11 plan. The Trustee alleges that if the firms had properly advised Agfeed’s board of the ‘red flags’ raised by the Chinese units’ financial reports, it could have remedied and reported either the financial irregularities or the misleading data that was later provided to the SEC and investors. Uchimoto was AgFeed’s outside general counsel from 2008 through January 2010, while working at Buchanan Ingersoll & Rooney, and took the account with him to Stevens & Lee. The Trust also alleges that by merging with the Nevada shell company, AgFeed was able to raise money based on financial statements that showed inflated profits. Former prin-cipals of the company allegedly used a variety of methods — such as faking in-voices for sales of feed and nonexistent hogs — to inflate its revenue from its China operations from 2008 through 2011. This led to action against the company by federal securities regulators, which resulted in an $18 million settlement. Further, the Trust claims that Uchimoto and Stevens & Lee were aware that AgFeed’s published financial numbers might be inaccurate, and in some instances were inten-tionally false, as AgFeed’s China-based managers sought to inflate company earnings and stock prices. Westport is defending Stevens & Lee against the AgFeed Trust’s allegations under a reservation of rights. As noted, in late February it sued to void the policy. “Because Stevens & Lee knew when it submitted the [policy’s] securities supplement to Westport that it contained false information, Westport seeks leave to rescind the policy so that the policy is void ab initio and of no force and effect,” the complaint said. Alternatively, the insurer is asking the court for a declaratory judgment that it has no duty to defend or indemnify Stevens & Lee or Uchimoto for the claims filed against them by the Trust. “The Trust’s lawsuit alleges that Uchimoto’s malpractice in representing AgFeed began before he started working at Stevens & Lee, and that Uchimoto knew or should have known of the claimed malpractice. Disputes exist between Westport, Stevens & Lee and Uchimoto regarding whether Westport has a duty to defend and indemnify them for the claims asserted in the Trust’s lawsuit,” the complaint said. It likely asked this question because such claims can lead to legal malpractice claims by the client against the firm, for not “keeping it out of trouble”. However, the firm’s “No” answer to #13 was apparently inaccurate, because, as noted, Westport’s complaint alleges that the firm failed to disclose the October 2011 class action lawsuit against its client AgFeed. In other words, if the insured firm’s representations are untrue, then the insurer should be allowed to “unissue” the policy. will render this Policy null and void and relieve the Company from all liability herein. If the court won’t allow Westport to terminate the policy, it seeks to have the court relieve it of any obligation to continue defending the firm, because the Trustee’s suit alleges that “Uchimoto’s malpractice in representing AgFeed began before he started working at Stevens & Lee, and that Uchimoto knew or should have known of the claimed malpractice”. A. After inquiry of each lawyer, is the Applicant, its predecessor firms or any lawyer pro-posed for this insurance aware of any fact or circumstance, act, error, omission or per-sonal injury which might be expected to be the basis of a claim or suit for lawyers or title agents professional liability? B. If yes, what is the total number of these potential claims? *You must complete a claims supplement for each potential claim. The law firm apparently didn’t complete a potential claims supplement for Uchimoto’s representation of AgFeed, because if it had, Westport would almost certainly have added a “Specific Claims Exclusion” endorsement to the policy, excluding coverage for any future claim arising out of Uchimoto’s representation of AgFeed. If the court denies Westport’s bid to terminate the policy, and denies its declaratory judgment motion that it shouldn’t have to cover Stevens & Lee and Uchimoto for the Trustee’s claim, will it have to cover them, or will it have other grounds for denying coverage? Westport’s complaint alleges that the malpractice “began before (Uchimoto) started working at Stevens & Lee”, which was March, 2010, according to his LinkedIn profile. It also states that Westport’s policy with Stevens & Lee began in December, 2012. However, the firm undoubtedly had coverage before that – it was founded in 1928 – and it wouldn’t switch from its former legal malpractice insurer to Westport unless Westport offered it prior acts coverage back to the date offered by its prior insurer, which likely was the date of its first continuous coverage, i.e., 20 or more years ago. This is also called “full prior acts coverage”. Therefore, Westport couldn’t deny coverage to the firm based on the wrongful act(s) occurring prior to the inception of its coverage, given that it’s retroactive to many years ago, well before Uchimoto’s alleged malpractice in representing AgFeed. However, while Stevens & Lee is covered for acts occurring years ago, each individual lawyer is generally covered only as far back as his/her first day of employment, which for Uchimoto was in March, 2010. Therefore, if he committed malpractice prior to that, as Westport alleges, based on the AgFeed Trustee’s complaint, then he wouldn’t be covered under Stevens & Lee’s policy with Westport, but he would be covered under the policy of his prior firm, Buchanan, Ingersoll & Rooney, which employed him from 2/08 – 2/10, and is a co-defendant in the Trustee’s suit. This is because in legal malpractice policies, the definition of “Insured” includes ex-employees. So, if the court denies Westport’s bid to terminate the policy, and denies its declaratory judgment motion that it shouldn’t have to cover the Trustee’s claim, then it will have to defend Stevens & Lee in this matter, and possibly indemnify it, but it wouldn’t have to defend or indemnify Uchimoto. The court heard the matter last October. Marzano-Lesnevich’s attorney, and The New Jersey State Bar Association, which participated as amicus, urged the court not to expand on its 1996 ruling in Saffer v. Willoughby that clients who prevail in a legal malpractice action may recover their legal fees. Justice Barry Albin countered “logic, fairness and public policy”[iii] suggest that non-clients should be able to recover counsel fees if they’re the victims of their adversaries’ lawyers’ malpractice. The court’s ruling will conclude a saga that spans 11 years and two continents. During the dispute, Carrascosa, a native of Spain, took Victoria there without Innes’ consent, in violation of their co-parenting agreement, and ignored a court order to bring her back. She was able to take Victoria to Spain, because a few weeks after signing the co-parenting agreement in October, 2004, she fired her divorce lawyer, who was holding the child’s passport in trust, and he sent it with the rest of his file to her new divorce lawyer, Marzano-Lesnevich, who gave it to Carrascosa during a meeting in December. Carrascosa took Victoria to Spain in January, 2005, and she has been raised there by Carrascosa’s parents ever since. Innes petitioned a Spanish court to have Victoria returned to the US[v], but his petition was denied, as were his appeals. The Spanish court also ordered Victoria to remain in Spain until she turns eighteen. The last time Innes saw his daughter was in Spain, in autumn, 2005[vi]. He testified that he hasn’t gone back to Spain, because fourteen criminal complaints had been filed against him there, and three were still pending. He denied committing any crime, or abusing Carrascosa or Victoria, but believed he would be unjustly accused and imprisoned if he went back, given the wealth and position of Carrascosa’s family, and the notoriety of the case, which has been covered by Spain’s media, and sparked demonstrations when American and Spanish judges met in Spain to discuss Victoria’s return to the US. Innes also testified that he has been unable to maintain a relationship with Victoria, as Carascosa’s family refuses delivery of the Christmas and birthday gifts he sends her. He posts messages for her on victoriainnes.com, a website he maintains. Carrascosa, who is an attorney admitted to practice in the European Union, returned to New Jersey without Victoria in 2006 for her and Innes’ divorce trial. That August, the court awarded Innes sole custody of Victoria, and ordered Carrascosa to return her to the US, but she failed to comply. She was arrested in December, 2006, and held until 2009, when she was convicted of willful interference with child custody, and sentenced to 14 years in prison. She was paroled in 2014, and then held in Bergen County Jail until April, 2015[vii], on a contempt of court charge, for violating the order to return her daughter to the US. She was released after Innes, who has since remarried and now has a young son, wrote to the court saying he was not opposed to her release, if she returns to Spain to be with their daughter. Innes sued Marzano-Lesnevich and her firm for his and Victoria’s emotional distress, alleging that Carrascosa used the released passport to “abduct”[viii] Victoria. The firm filed 3rd-party complaints against Innes’ divorce attorney and Liebowitz, Carrascosa’s prior divorce attorney, but both were dismissed. It also filed a motion for summary judgment, arguing that Marzano-Lesnevich had no duty to Innes, because she didn’t know the child’s passport was being held in trust, she was never asked to become the trustee of the passport, and the trusteeship remained with Liebowitz, who is named as trustee of the passport in the co-parenting agreement. At trial, a jury awarded Innes just over $1.4M: $700,000 for his emotional distress, $424,000 for his daughter’s, and $292,332 in interest and attorneys fees. Marzano-Lesnevich then appealed Innes’ award to the New Jersey Supreme Court, which granted review only on the issue of whether Innes can recover his legal fees. As a result, Innes must collect his judgment, which totals $833,815 in damages + interest, directly from Marzano-Lesnevich and her firm. The firm didn’t have malpractice insurance when it released the passport in December, 2004. In January, 2006, the firm received a letter from an attorney representing Innes “in an action against your firm”[xiv] (he sued in October, 2007). The firm applied for malpractice insurance in September or October, 2006, but didn’t disclose the letter from Innes’ attorney, or that it had released the passport, or that the child was taken to Spain, even though the application asked if a claim had been made against any of the firm’s attorneys in the past five years, or if any of them knew of any act or error that might lead to a claim being made against them. 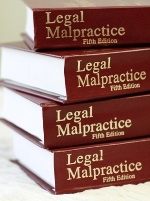 The first malpractice policy the firm bought after releasing the passport covered errors or omissions it committed only during the policy period, which was 10/23/06 – 10/23/07, i.e., it didn’t cover Prior Acts, which are errors or omissions committed before a policy’s inception date. The firm didn’t seek coverage for Innes’ claim from its malpractice insurer, so Innes sought a declaratory judgment that he was a third-party beneficiary of the firm’s policies, and they covered his claim. The insurer filed a counterclaim, seeking a declaratory judgment that its policies didn’t cover Innes’ claim. A. A co-parenting agreement that prohibits a child from traveling abroad unless both parents consent, should include safeguards that prevent any “shenanigans” regarding the child’s passport, i.e., it should specify procedures to be followed if the passport is entrusted to the attorney of one of the parents, and that attorney stops representing the parent. B. Communication between new, prior, and opposing counsel is vital. Liebowitz should have contacted Innes’ attorney as soon as Carrascosa fired him, and Marzano-Lesnevich, as soon as he found out that she was Carrascosa’s new attorney, and arranged to be replaced as trustee of the child‘s passport. Failing that, Marzano-Lesnevich should have contacted Innes’ attorney about replacing Liebowitz as passport trustee, as soon as she reviewed the co-parenting agreement. Innes’ attorney about either revising or terminating it. The money that Marzano-Lesnevich and her firm saved by not buying malpractice insurance until after releasing the passport, is a fraction of the $833K judgment they owe Innes, which their malpractice insurer would have been obligated to pay, if they had been properly insured. 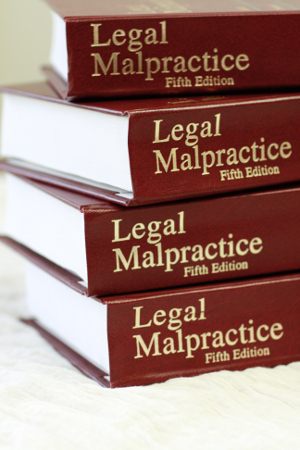 However, legal malpractice insurance is a claims-made and reported policy, not an occurrence policy, like auto or property insurance, so to trigger it, you must be insured on the date you commit an error, and the date a claim is made against you due to that error, and the date you report that claim to your insurer. Since you can’t predict any of those dates in advance, and you may not even know you made an error until incurring a claim months or years later – as happened to Marzano-Lesnevich – the only way to always be covered is to buy malpractice insurance when you first open your practice, and renew it every year that your practice remains open. Conversely, if you don’t renew your policy one year, then you’ll lose all of your Prior Acts coverage; the next policy you buy will cover any errors or omissions you commit only on or after the inception date. For example, if a firm was insured from Jan. 1, 2000 – January 1, 2016, but didn’t renew or buy Extended Reporting Period coverage, then starting at 12:01 AM on January 1, 2016, it would no longer be insured for claims arising out of errors or omissions it committed before then. Even if it bought coverage on Jan. 2, 2016, that policy would cover it only for any errors or omissions it commits between that date and Jan. 2, 2017. A “Big Law” firm attorney who was opening a solo practice, wrote “100%” next to “Securities Law” on the practice areas grid of his application. However, he answered “not applicable” to the questions on the securities law supplemental application, which ask about capital-raising transactions, mergers and acquisitions, etc., that an attorney has worked on. As a result, we advised him that it may be possible to reclassify his practice, which would save him money, because securities lawyers pay among the highest legal malpractice insurance premiums. For example, while most lawyers pay between $2,000 and $4,000 for a policy with a $1M limit, we had recently procured coverage for a solo securities lawyer who focuses on debt and equity placements: the best quote for a policy with $1M limit was $6,500. The attorney’s silence upon hearing this suggested that this was much more than he had budgeted. Fortunately, further discussion revealed that his solo practice would be limited to providing regulatory advice to investment funds. We had him change his practice area on his application to “Other – 100%”, and describe his practice on his firm’s letterhead. This enabled us to procure a policy for him that had a $1M limit for $5,100. 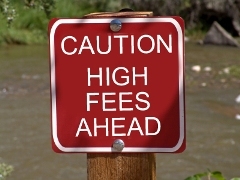 A debt collection law firm had its malpractice insurance non-renewed due to “high claims frequency”. A local insurance agent sent its application to several major malpractice insurers, all of whom declined to offer a quote. The agent then told the firm that it would have to obtain coverage in the “hard-to-place-risks” market, where the premiums are 50% – 100% higher. This led the firm’s founder to send us its application. Its malpractice claims history consisted of four lawsuits and three incidents (potential claims) in the last seven years, for which its insurer’s payout + reserve for future payouts was nearly double the amount the firm had paid in premiums. Malpractice insurers clearly wouldn’t view the firm as a good risk. However, there was good news amid the bad: the four lawsuits were brought by individual debtors, who sued the firm under the Fair Debt Collection Practices Act (FDCPA), while the three incidents involved commercial debtors, who can’t sue under the FDCPA. Further, the last FDCPA claim had been filed three years ago, and all three incidents involving commercial debtors had occurred since then. This suggested a change in the firm’s practice. The firm’s founder confirmed that he began de-emphasizing consumer debt collection in favor of commercial debt collection after the last FDCPA claim was filed. Currently, the practice was 80% commercial debt collection v. 20% consumer, the opposite of what it had been three years ago. In other words, this wasn’t a debt collection firm, but a commercial debt collection firm. It thus had little exposure to FDCPA claims, which are the biggest malpractice risk for debt collection lawyers. We had the firm fill out the application of the only major legal malpractice insurer that distinguishes between consumer and commercial debt collection, and procured a policy for it that provided the same coverage as its non-renewed policy for a 2% increase in premium. A Business Law firm sent us what appeared to be a routine application: its practice was a mix of business entity formation; small, private company purchases/sales; commercial litigation, and general business law, i.e., drafting and negotiating commercial contracts. Further, it reported no malpractice claims history, no suits against clients for unpaid fees, and acceptable risk management procedures, i.e., regular use of engagement letters, dual-calendar docket control, a conflict-of-interest avoidance system, etc. Given the firm’s the risk profile, and the fact that its current policy was expensive relative to the coverage it provided, we anticipated that we would be able to procure a policy for it that provided more coverage for a lower premium…until we discovered this sentence on its website: “we’ve handled complex business matters worldwide, and have affiliates in some of the world’s busiest and most exotic locales”. This was news to us, because according to the firm’s application, the most exotic locale that it practiced law in was Cleveland. Further, the complexity of international law practice can increase a small firm’s malpractice claims risk so much that many insurers will either add a surcharge to the premium or decline to offer a quote. When we explained this to the firm’s managing partner, he stated that it hadn’t worked on an international matter in several years, and didn’t expect to in the near future, so the statement on its website was similar to “puffery”. We explained that malpractice insurers would regard any information on the firm’s website as indicative of its current practice, and recommended that it remove any non-current information. Once this was done, we procured a policy for the firm that provided a 50% increase in policy limits for a 16% lower premium. Curtis Cooper is a legal malpractice insurance broker, and principal of Lawyers Insurance Group – Broker For Great Law Firms, in Washington, DC, which helps law firms optimize their malpractice coverage. He can be reached at 202-802-6415 or ccooper@lawyersinsurer.com. 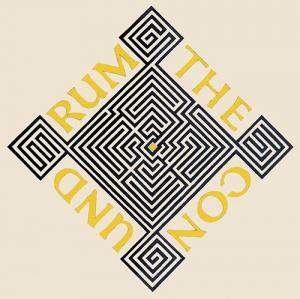 Attorney Karen Rubin of Thompson Hines wrote a post about Edward T. Joyce & Assocs., P.C. v. Professionals Direct Insurance Co. (PACER identification required for access), a case in the Northern District of Illinois, in which the court held that the Joyce firm’s legal malpractice insurer didn’t have to indemnify it for attorneys’ fees that the firm was ordered repay due to its misconduct, because the policy excluded coverage for sanctions. According to attorney Thompson, “the Joyce Firm represented more than 100 individuals and entities as plaintiffs under a contingent fee agreement. After obtaining an arbitration award against the insolvent defendant, the Joyce Firm hired additional co-counsel to help…pursue a claim against the defendant’s insurer”, which resulted in an $8.6 million settlement. The district court rejected that argument, citing the arbitrator’s “stated imposition of sanctions,” and the state court of appeals’ affirmation of the arbitration award, which “expressly and repeatedly referred to the damages award as a sanction.” It granted summary judgment in favor of the insurer. Clearly, any firm that attempts to modify a fee agreement during an engagement, doesn’t get the client’s approval – as apparently happened to the Joyce firm – but bills the client as if it had approved the modification, is inviting a fee dispute that it’s unlikely to win. Usually, the client refuses to pay the fees, the firm sues to collect – if pre-suit collection attempts are unsuccessful, and the amount is large enough – and the client then files a counterclaim for malpractice. This case differs in two respects: the client paid the Joyce firm’s modified fees, i.e., the contingent hourly fees, probably because it didn’t want to jeopardize the underlying case, which was a wise decision, considering it obtained an $8.6M judgment, and the fee dispute was arbitrated, likely due to an arbitration clause in the engagement letter between the Joyce firm and its client. However, the outcome was as expected: the client contested the unapproved fees, and prevailed. Ironically, even if the court had accepted the Joyce firm’s argument that the arbitrator meant “disgorgement”, rather than “sanctions”, there still wouldn’t have been any coverage, because its legal malpractice policy also excludes coverage for “any claim for legal fees, costs, or disbursements paid or owed to you.” The arbitrator ordered the firm to repay $405,000 “in fees it had previously collected” from its client, which is clearly a “claim for legal fees…paid or owed to you”. All legal malpractice and other pro-fessional liability policies are “claims-made”, whereby a lawyer must have in-surance in place on the date that the claim is made, for it to be eligible for coverage. However, such policies are more ac-curately called “claims-made and re-ported”, which means that the claim must be made against you during the current policy period, i.e., while you have a policy in effect with that insurer, and you must report the claim to your insurer during same policy period in which it was made, i.e., your current policy period. Further, with basic claims-made and reported coverage, the wrongful act underlying a claim must also have occurred during the current policy period. To be covered for claims arising out of wrongful acts that occurred prior to the current policy period, a firm must have Prior Acts coverage, a/k/a Retroactive coverage, which covers alleged malpractice committed before the current policy’s inception date. Prior Acts coverage is essential, because malpractice claims generally aren’t filed until 1 – 4 several years after the alleged wrongdoing. Without it, the firm’s current policy – the one it has in place when it receives the claim – won’t provide coverage, since the wrongful acts that gave rise to the claim occurred before the inception date. Every claims-made policy has a Prior Acts or Retroactive Date, which is usually shown on the Declarations (first) page of the policy. Insurers won’t provide prior acts coverage when a firm buys its first malpractice policy, so for that policy, the Prior Acts Date will be the same as the policy inception date. However, once a firm buys a policy and renews it without letting it lapse, its insurer will offer it prior acts coverage back to the inception date of its first policy, i.e., in the firm’s second year of coverage, it’ll have one year of prior acts coverage, in its third year, it’ll have two years of prior acts coverage, etc. Conversely, if a firm doesn’t renew its policy one year, then it’ll lose all of its Prior Acts coverage; the next policy it buys will cover any errors or omissions it commits only on or after the inception date. For example, if a firm was insured from Jan. 1, 2000 – January 1, 2016, but didn’t renew or buy Extended Reporting Period coverage, then starting at 12:01 AM on January 1, 2016, it would no longer be insured for claims arising out of er-rors or omissions it committed before then. Even if it bought coverage on Jan. 2, 2016, that policy would cover it only for any errors or omissions it commits between that date and Jan. 2, 2017. However, even if a firm has Prior Acts coverage, gaps can occur that will leave it unpro-tected if it incurs a claim. This claim scenario that we discussed previously illustrates how a coverage gap is cre-ated if a firm switches insurers: the Great law firm bought a legal malpractice policy from Big Insurer effective January 1, 2012 – December 31, 2012, and renewed it for January 1, 2013 – December 31, 2013, and January 1, 2014 – December 31, 2014, but switched to Huge Insurer on January 1, 2015. A Great lawyer represented client Smith from February 15, 2013 – May 1, 2014. On March 5, 2015, Smith notified the Great firm that he planned to sue it for malpractice. The firm reported the claim to Big Insurer on March 9, 2015. Will Big Insurer provide coverage? 1) The wrongful act(s) that gave rise to the claim must have occurred on or after the policy’s retroactive date – the date you began uninterrupted coverage with your insurer. 2) The claim must be made against you during the current policy period, i.e., while you have a policy in effect with that insurer. 3) You must report the claim to your insurer during same policy period in which it was made, i.e., your current policy period. Condition #1: the wrongful act(s) that gave rise to the claim occurred between February 15, 2013 – May 1, 2014, the period of representation, which is after the policy’s retro-active date of January 1, 2012. Pass. Condition #2: the claim was made on March 5, 2015, which was after the Great firm had terminated its coverage with Big Insurer. Fail. Condition #3: The Great firm reported the claim to Big Insurer on March 9, 2015, which is after it had terminated its policy. Fail. Can the Great firm obtain coverage by reporting the claim under the 60-day grace per-iod that most insurers allow after a claims-made policy is terminated? No, because this would’ve allowed it to report this claim by March 2, 2015 (60 days after 12/31/14), but it didn’t report it until March 9, 2015. Fail. Conclusion: the claim isn’t covered under Great firm’s legal malpractice policy with Big Insurer. It then reported the claim to its new carrier, Huge Insurer; will it provide coverage? Condition #1: the wrongful act(s) that gave rise to the claim occurred between February 15, 2013 – May 1, 2014, the period of representation, which is before the Great firm’s policy’s retroactive date of January 1, 2015, its first date of coverage with Huge Insurer. Fail. The Great firm thus has no coverage for this claim under either its prior or current pol-icy, so it will have to fund its defense and any monetary settlement out of its and/or its partners’ assets. I. Buy an Extended Reporting Period (ERP) endorsement from its former insurer (Big Insurer), which would allow it to report claims for 1 – 5 years or in perpetuity after ter-minating its coverage, depending on which option it buys. The endorsement “applies only to claims first made against you and first reported to us on or after the policy termination date” – December 31, 2014 in this example – and “the claim (must arise out of) an act or omission occurring prior to the end of the Policy Per-iod”, – again, December 31, 2014 – and on or after the policy’s retroactive date – Janu-ary 1, 2012 in this example. Condition #1: the wrongful act(s) that gave rise to the claim occurred between Febru-ary 15, 2013 – May 1, 2014, the period of representation, which is after the policy’s retro-active date of January 1, 2012. Pass. Condition #2: the claim was made on March 5, 2015, after the Great firm’s policy ter-mination date of December 31, 2014, but the 1-year ERP extends the period in which the policy will cover claims made against it to January 1, 2015 – December 31, 2015. Pass. Condition #3: The firm reported the claim to Big Insurer on March 9, 2015, which be-cause it bought the ERP, is within the allowable reporting period of January 1, 2015 – December 31, 2015. Pass. Conclusion: assuming no policy exclusions, etc., apply, this claim is covered under the Great firm’s legal malpractice policy with Big Insurer. However, ERP coverage is expensive, typically 125% of the annual premium for a one year ERP, rising to 300% for a perpetual ERP. Also, whatever limit is left on the expiring policy carries over to the ERP. If/when that limit is exhausted by defense costs and indemnity payments made by Big Insurer to resolve malpractice claims, the Great firm will have no further coverage under that policy, even if it bought a multi-year ERP that still has years to go. In other words, buying an ERP doesn’t buy fresh policy limits. Further, the Great firm would still have to buy a policy to cover it for any malpractice that it commits after 12/31/14. II. Buy Prior Acts coverage from its new carrier, Huge Insurer, which resets the policy retroactive date to before the inception of coverage, i.e., back to when the Great firm first had continuous coverage, which is January 1, 2012, when it bought its first legal malpractice policy from Big Insurer. This would be the retroactive date of its policy with Huge insurer, if it bought Prior Acts coverage; without Prior Acts coverage, the policy’s retroactive date would be the same as its inception date: January 1, 2015. Condition #1: the wrongful act(s) that gave rise to the claim occurred between Febru-ary 15, 2013 – May 1, 2014, which is on or after the policy’s retroactive date of January 1, 2012. Pass. Condition #2: the claim was made on March 5, 2015, during the current policy period of January 1, 2015 – December 31, 2015. Pass. Condition #3: The firm reported the claim to Huge Insurer on March 9, 2015, which is during the same policy period in which it was made. Pass. Conclusion: the Great law firm is covered for this claim is under its policy with Huge Insurer, subject to any policy exclusions, etc. Further, Prior Acts coverage costs less than an ERP, and is generally the better choice for law firms that switch malpractice insurers. Note: Insurers won’t provide Prior Acts coverage unless the insured attests that it’s un-aware of any pending claims against it, or of any incidents that could lead to a claim, i.e., an adverse outcome or a missed statute of limitations. If it is aware of a pending or po-tential claim, it must disclose that on its application, and the new insurer won’t cover it. Thus, Huge Insurer would deny coverage for the above claim if client Smith had threat-ened to sue the Great firm for malpractice prior to 1/1/15, Great’s first day of coverage with Huge, or if the Great attorney who worked with Smith knew before that date that he/she had made an error that could result in Smith making a claim. In either case, the Great firm should have immediately reported Smith’s threatened suit or the attorney’s error to Big Insurer, its malpractice insurer at the time. 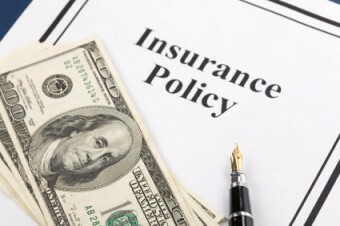 Keep in mind that even if you switch insurers and the new insurer gives you Prior Acts coverage back to the inception date of the first policy you ever purchased, it will cover only unknown prior wrongful acts, not known prior wrongful acts, i.e., those that a firm knew about before the inception date of its first policy with that insurer. Every claims-made policy has a Prior Knowledge Condition, which excludes coverage for ‘known prior wrongful acts’. Without such a policy provision, attorneys could remain uninsured until they committed a wrongful act, and then rush to buy a policy before their client filed a claim. To prevent that, every malpractice insurer’s application requires a firm to disclose any known claim, or any known wrongful act that could lead to a claim. If the firm discloses a known claim or wrongful act, and later seeks coverage for it, the insurer can deny cov-erage under its policy’s Prior Knowledge Condition. If the firm doesn’t disclose it, and later seeks coverage for it, then the insurer can either deny coverage under the Prior Knowledge Condition, or seek to rescind the policy, due to material misrepresentation. To protect your firm, report all actual and potential claims to your current insurer before the policy period ends, and you switch to the new insurer. However, there’s no protection against a rogue partner who doesn’t disclose a potential claim. This creates a gap in coverage if the firm switches insurers, even if it gets full prior acts coverage from the new insurer. We’ll illustrate using the above example, whereby the Great law firm bought three one-year legal malpractice policies from Big Insurer for January 1, 2012 – December 31, 2015, then switched to Huge Insurer on January 1, 2015. A Great lawyer represented client Smith from February 15, 2013 – May 1, 2014. On October 4, 2014, Smith notified his Great lawyer that he planned to sue it for malprac-tice. However, the attorney didn’t tell anyone at the firm about it, so it was never reported to Big Insurer before the firm’s last policy with it terminated on 12/31/14, and it wasn’t re-ported on the firm’s application to its new carrier, Huge Insurer. On 4/1/15, Smith sued the Great firm, but Big Insurer denied coverage, since its policy with firm had expired on 12/31/14, and the firm didn’t renew. Huge Insurer denied cov-erage, even though the wrongful acts had occurred after the firm’s Prior Acts date of 1/1/12, because Smith’s attorney knew about the potential claim on 10/4/14, before the inception date of its first policy with Huge, which was 1/1/15, i.e., it was a known prior wrongful act, and was thus excluded by the policy’s Prior Knowledge Condition. The firm would be covered if it had bought an ERP (‘tail’ coverage) from its former insurer, but as noted, that costs much more than buying prior acts coverage from the new insurer, so few firms do it. That’s the Prior Acts conundrum: a gap in coverage can occur even if a firm has full Prior Acts coverage, if a rogue attorney hides a potential (or actual) claim.